Join the Potomac Chapter on Thursday, 14 March for a Discussion Panel led by SGM Pamela Duggan, EMPD SGM, along with SGM Mark Clark, DMPM SGM, and AGCRA HoF member, SGM (R) Gerald Purcell. The general topic is Enlisted Personnel Management with three sub-topics: the new Enlisted Manning Cycle, the delayed of Centralized Promotion Boards, and the possible effects from the Talent Management Task Force on Enlisted Strength Management. March 9, 2019 February 2, 2019 by Robert Ortiz-Abreu, Jr.
AGCRA members are encouraged to change their membership account e-mail to their PERSONAL E-MAIL ADDRESS versus registering with or continuing to use their @mail.mil e-mail address. DOIMs across the Army are making it more challenging to reach AGCRA.com through @mail.mil accounts. 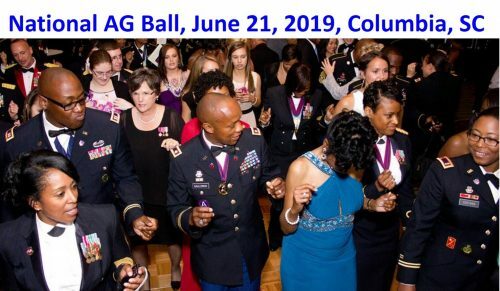 For example, if a member needs a password reset, the @mail.mil system will normally remove AGCRA URLs and links (in this case the password reset link), and the copy and paste function of the URL will not work either. 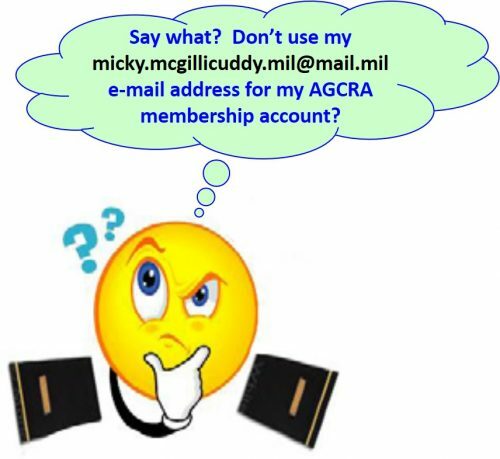 If you are an AGCRA member, please change your membership account e-mail to your PERSONAL E-MAIL ADDRESS. For AGCRA membership access issues, please contact Membership@agcra.com.